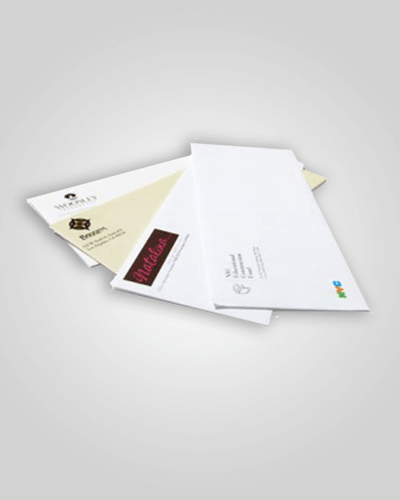 We are able to print the front side of your envelope for you fast. Sadly, we are unable to make the colours go all the way to the edge, but can get to 3mm of the edge. If you need to have variable data (individual names and addresses) added to your envelopes, please call to discuss.